Sidney Slon/Pipe Dream Photographer VMock will allow students to receive feedback on their résumés before meeting with a Fleishman Center staff member to discuss additional steps. Students looking to improve their résumés will now have access to VMock, an online program sponsored by the Fleishman Center for Career and Professional Development, which provides résumé reviews and critiques 24 hours a day. The Center regularly provides in-person appointments for students to meet with consultants who help edit résumés. However, those time slots are only available during the Center’s business hours, from 11 a.m. to 4 p.m. on weekdays, and are made on a first come, first serve basis. The new VMock system will allow students to log in with their PODS account and receive feedback on up to 10 uploaded résumés per semester. Erin Cody, associate director of enhancing student experience at the Center, said VMock searches for and analyzes specific components of a résumé once the document is uploaded into its system. Binghamton University is the first school in the SUNY system to provide VMock to students, and making it accessible has been a goal of the Center since the 2017-18 academic year. To customize the platform specifically to BU, the Center worked with Watson School of Engineering and Applied Sciences, School of Management and College of Community and Public Affairs to compile résumé templates specific for each student’s intended job market. Students book roughly 7,200 individual sessions annually with staff at the Center, and approximately 30 percent of these meetings are focused on improving cover letters or résumés. Cody also wrote that after uploading and editing their résumés on their own, students are encouraged to meet with Fleishman Center staff for further consultation. 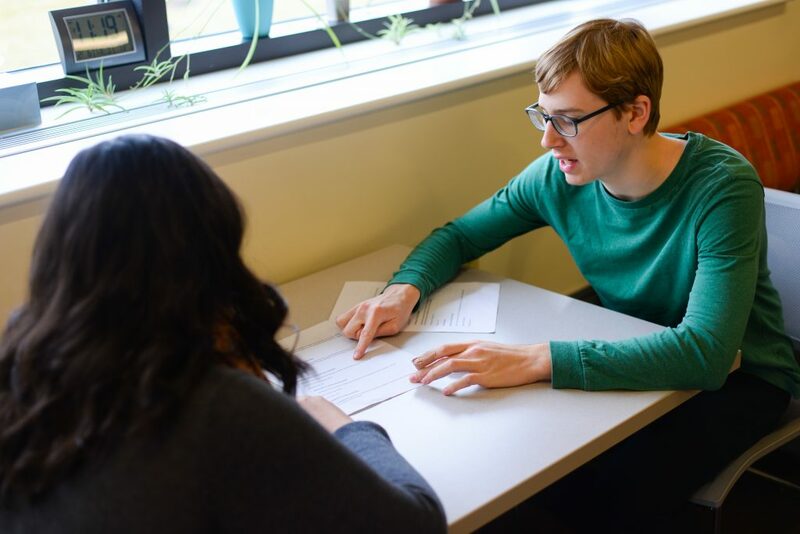 According to Cody, VMock is not meant to decrease the number of students that come to the Center for résumé critiques, but give students the chance to make baseline edits on their own, so consultations can focus on more in-depth advice. Rabi Ibrahim, a senior majoring in systems science and industrial engineering, said she was impressed with the system and the work that it does.